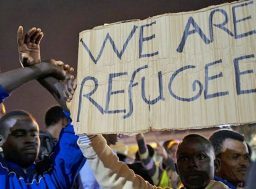 Welcome to the club | Desert Rose e. V.
What sounds like a set phrase, means a lot to children and adolescents of African migrant families in the district of South Tel-Aviv. They live in a country where the majority of the population thinks that migrants are unwelcome. They live in a district where prostitution and drug-related crime are forming a dangerous milieu – especially for young people without a sincere prospect. Right here, which means right in the center of South Tel-Aviv, our partner organization ASSAF started a so-called youth club. It is a place where the children of migrant families feel welcome and can just be themselves. 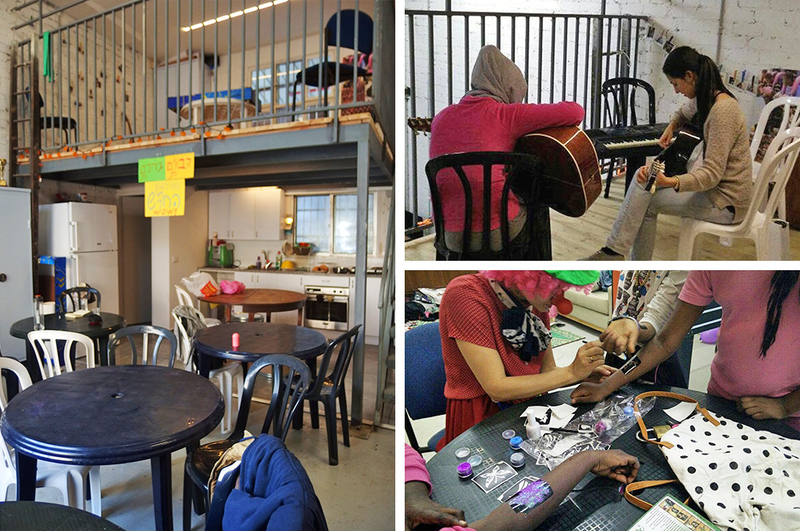 Until recently ASSAF has turned its office into a meeting point for young people but with the help of Caritas international, a German relief organization, an own building was rented for the youth club. The two-storeyed room, which is an open space for the adolescents, has not primarily a therapeutic purpose. However, it regularly happens during different activities that the children come to the mentors to talk about personal questions or matters. 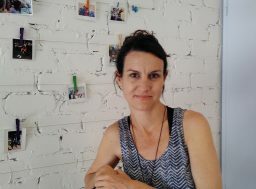 Whilst our visit in April 2016, we talked to Michal Schendar, Youth Program Coordinator at ASSAF. Schendar explains that if the adolescents approach the mentors with severe problems, ASSAF has the opportunity to discuss them and find a solution with the responsible social worker of the youth welfare office. Only lately Schendar took part in a meeting with the advocacy employee of ASSAF and the case manager of the youth welfare office to talk about a 13-year-old boy who played hooky and rather roamed around on the streets because he had problems. In the youth club, which he still liked to visit, they talked about them. A case manager of the youth welfare office is usually responsible for 70 to 100 families and therefore dependent on the cooperation with organizations like ASSAF, which partly pay attention to the young people more than once a week. Children visit the youth club approximately three to four years and the number of children and adolescents is continually increasing. Just through the club ASSAF is currently in contact with about 60 migrant families. Approximately one in three of them is a single mother. By now ASSAF is mentoring two girl groups (8-12 and 13-17 years) and one boy group (13-19 years). Usually the children are allowed to go to public school free of charge, after being in the country for three months. Therefore, the groups at ASSAF take place in the afternoon, so the time when most local children play at home or on the street with their friends. Both is not a matter, of course, for the children of migrants. 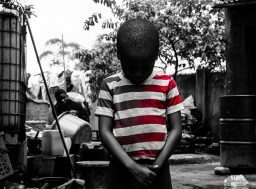 Many live in very small, run-down accommodations and on the street they do not feel safe or at least uncomfortable, which is partly due to the rejection they experience in everyday life as an African refugee. And yet, many of those children can talk better in Hebrew than they can in their mother tongue “Tigrinya”, the official language in Eritrea. In the youth club, children and adolescents can forget about their worries for a few hours and give their creativity and their desire to free play by drawing, playing or by dancing to hip-hop. If necessary, the mentors also offer computer courses and homework guidance. Especially with small children the focus lies on teaching them in a playful way to show their feelings and thoughts, for example, in the challenge “blind baking” where teams of two bake cookies, in which one child is blindfolded and has to be instructed by its partner. More grown-ups are mainly struggling with hopelessness. After school, their future is very uncertain. The Visa “2(A)5” which most of them have, guarantees them only to not be deported. They cannot afford studying and they only get a job as a cleaner or a warehouse worker – if they even get one. This is something, a frustrated young woman once slightly cynical described to Schendar like this: “Probably I’ll go to cleaner university after school.” The constant fear of being deported to Holot, the “open jail” in the Negev Desert, weighs heavily on young men. We wanted to know from Schendar what the biggest challenge for adolescents beside the hopelessness is. The mentor explains that many girls and boys have immense troubles to conciliate what they experience in “Israel everyday life” with what their parents expect of them due to their different cultural orientation. Schendar tells us about the case of a very confident 17-years old girl that recently shared with her mentor that her parents have sent her to a traditional priest because they thought that she was possessed by an evil spirit. She also said that she was hit during the priest’s session. Other boys and girls are heavily traumatized by the experiences they made in their home country and on the run. For example, two sisters in the girl group, which is mentored by Michal Schendar, became witness of their mother being raped and tortured in the Sinai. While the children spend their time in the youth club, the mother is visiting the group therapy at ASSAF. With such experiences the mentors need a special sensitivity. “It is also important for this young people to know that the youth club is a place where they do not have to talk about their problems but can be just ordinary children who have fun being alive”, explains Schendar.